A Toronto cyclist wants police to be more proactive about bike thefts after his girlfriend's amateur sleuthing led the couple to recover his stolen bike in a "sting" operation at a TTC station in Scarborough. Omer Lifshitz already had one bicycle stolen this summer, when his roughly $1,200 road bike was taken from his porch earlier this month. "It's not the most expensive bike in the world, but it's my baby," said Lifshitz. 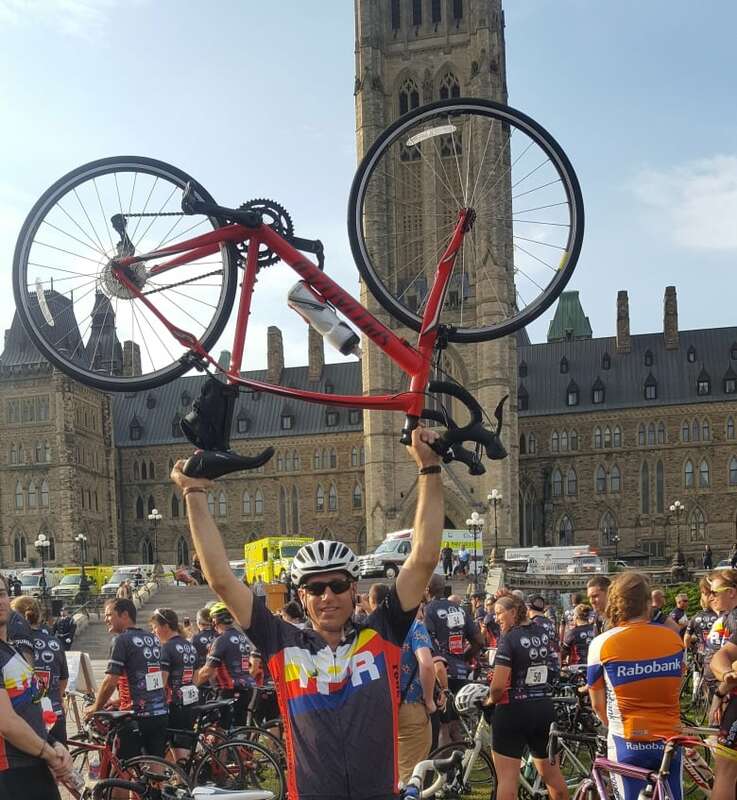 "It was very stressful; it was a week before I was doing a paramedic ride to Ottawa." So a couple days later when his girlfriend sent him a Kijiji post and Lifshitz saw photos of his stolen bike, the paramedic decided he was getting it back. His first call was to police. Lifshitz says the officer told him he would ask the seller for the serial number to confirm whether or not the bike was stolen and then try and arrange a meeting for that night. "To be frank, I thought it was a terrible idea. I told the detective that," said Lifshitz, who added the seller also had a handful of other high-end bikes listed for sale on Kjiji. "The time of day was already 10 at night and asking for a serial number for me raised all sorts of red flags." "This person sells bikes, that's what they do. So, it wouldn't have been something odd or suspicious if they were to ask for a serial number," said Const. Jenifferjit Sidhu. "If it was someone who just sold one bike and that was it, yes, it would raise alarms." CBC Toronto asked Toronto Police for bike theft statistics for the past three years, but was told to file a Freedom of Information request. The reason given was that the statistic is no longer published by police, and requires a more thorough search of their records. 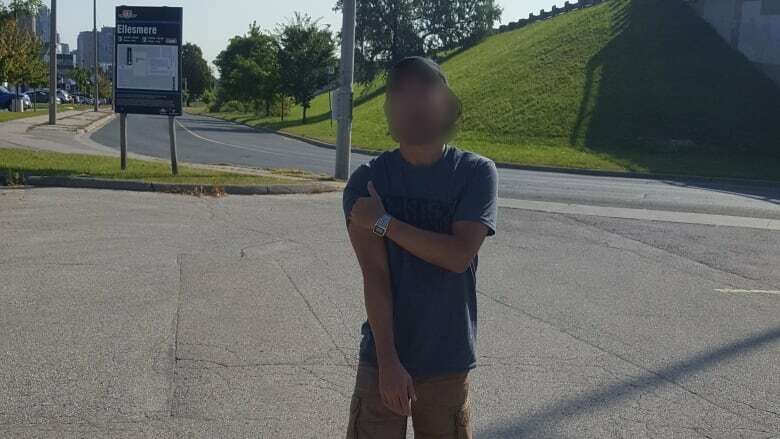 After talking to the detective, Lifshitz decided to form his own plan, and had his friend set up a meeting with the Kijiji seller at the Ellesmere RT station. The next morning, Lifshitz and his girlfriend sat in their car while his friend waited on a bench in the parking lot for the seller. "Until the guy showed up I was really nervous that this wasn't even going to happen," said Lifshitz. But then the seller arrived, and Lifshitz's friend brought over his bike under the guise of taking it for a test ride. "Right away, I take out my phone and I start taking pictures of him," said Lifshitz, who also took a Facebook Live of the confrontation. "He was so calm. At first I thought, 'Is this guy a moron, why isn't he running away?' None of it made any sense. It just seemed so bizarre," Lifshitz told CBC Toronto. "When there was finally a bit of an acknowledgement that this was my bike, he had no problems sticking around and waiting for the police to come to settle the matter." 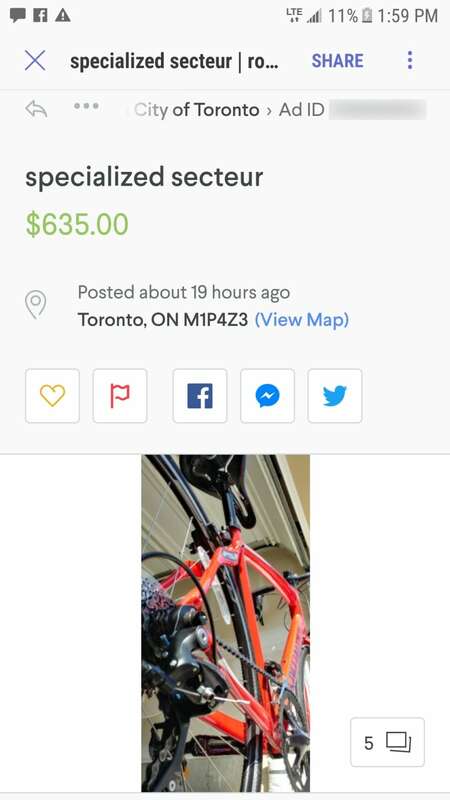 The Kijiji post Lifshitz's girlfriend found said the man was selling a bike he'd bought for his son a year ago. But Lifshitz confronted the seller about it, he says the man told him that's just what he says "for commercial reasons" and admitted to recently buying the bike in a McDonald's parking lot. Lifshitz says the seller said he had a receipt. "The inconsistency of the story meant nothing to police," said Lifshitz. "I would have hoped that they would have gone to his house and looked at the bikes... Because he invited them to look at the bikes, they could have easily run the serial numbers. He invited them to," he said. "I don't know why that never happened. But you know there could have been another half dozen people who could have had their bikes back." Instead, Lifshitz says police gave the seller a ride home. Toronto police confirm that they did attend the scene with Lifshitz and the Kijiji seller. Sidhu told CBC Toronto that there wasn't enough evidence to lay charges, but police are still investigating. Lifshitz recovered his bike in time for his ride to Ottawa, and says he finds the whole "sting" ordeal "still kind of surreal." What should you do if your bike is stolen? The "sting" option might have worked out well for Lifshitz, but Toronto police say they never recommend taking matters into your own hands. "Property is replaceable, your life is not. So if you're ever in this predicament, put in that report, contact police," said Sidhu. "There is a backlog. That's the honest truth, but it is something that's looked into within at least 72 hours." Police also recommend that cyclists write down and register their bikes' serial numbers, take their own photographs of their bikes and keep the receipts. Lifshitz hopes that one day police can create some sort of task force to help people get their bikes back — but in the meantime, he says there's a thriving community actively looking for bikes and helping each other online. 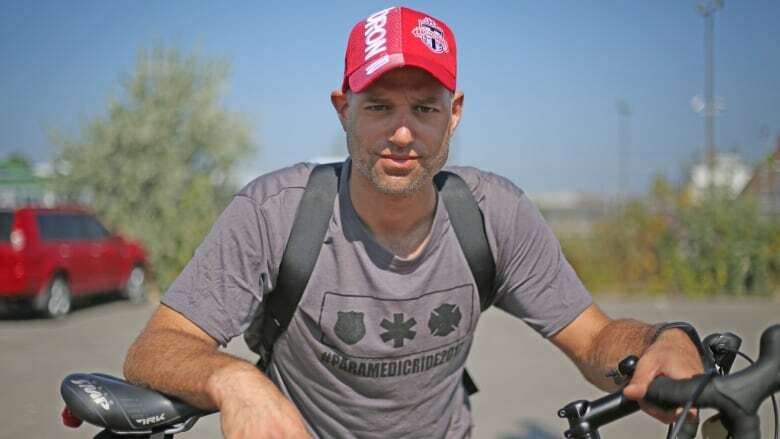 The paramedic shared information about his stolen bike, and how he got it back, on a number of Toronto community and cycling Facebook groups. "People have been approaching me saying, 'Hey, have you seen my bike?' They think I'm maybe some sort of bike theft vigilante," Lifshitz told CBC Toronto. "Nope, I just had a very resourceful girlfriend and a bunch of friends that just really came through."